By the long dynastic fights for the place of king Macedonia in the 3rd century BC still kept its constitution and stayed the most powerful country in the Balkan Peninsula. In the period of the Macedonian King Phillip 5th (221-179 BC), Macedonia became target of the Roman conquers. After the battle at Kana, Carthagina, in the year of 215 BC, Philip 5th made union with the Carthaginians. He formed the Phalanx on the Adriatic coast. The war was coming, but it was only matter of time. The Romans were "hungry" for the treasures of the ancient Macedonian kings, territory and possibility for new slaves. The Roman War with Carthagina, didn't stopped their appetites to Macedonia. That's the reason for the start of the first war in 215 BC. The main thing of this war to establish an anti-Macedonian coalition, with the Aytoll Union. And to stop the Macedonians to ask Hannibal for help. In the anti-Macedonian coalition were Sparta, Illyria, Mesinya and the Pergam Kingdom with the king Atal. But the end of the war came in the year of 205 BC with no changes and peace conference between Macedonian and Aytol Union. The Roman state waited for an excellent moment to conquer Macedonia. It was established a anti-Macedonian coalition, but joined by the Hellenistic states Pergam and Rod. As reason for beginning of the war was taken the fact that Philip 5th took part in the war against the Thracians on territory of Pergam. In this war came to a direct crash on the both sides. Then the Roman army went deeply in the area of Lychnydos and its lake, in Linkestyda, Elymia and Orestida and got back to the Adriatic sea. In the same time the Roman allies, the Dardanians attacked Paionia. By the Dardanians in the Union against Macedonia took part the Illyrians, Aytolyans and the Ahaians. Then in the battle at Cynoscefale in 197 BC the Macedonian king Philip 5th, was defeated. In the peace conference conversations, where he took part in, they said to him to leave all territories outside Macedonia. He paid a lot of money and released the navy. And he had to made the number of the army smaller to 5,000 soldiers. 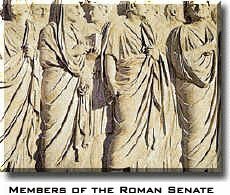 After this great Roman war, the Roman Counsel 3 days celebrated in Rome. In this period king of the Macedonians was Perseius (179-167 BC). He had the destiny of being the last Macedonian king. In the war against the Roman on his side he got the Illyrians with their king Gentius, the Thrace tribe Odrissy, sympathies of the democrats of Athens. The king Perseius in the war called all the prisoners to fight for their country. Starting at 171 BC and finished by a Roman won in the battle at the mountain Pidna in 167 BC. The Roman Counsel Pavle Emilyus celebrated this won three days in Rome. King Perseius and his family were taken to Rome and probably tortured and killed. Around 150,000 citizens of Macedonia were taken as slaves.